The quality of the photos in smartphones depends on the photographer, camera module, lens and other factors. A considerable part also play the algorithms processing images and processors that are engaged. 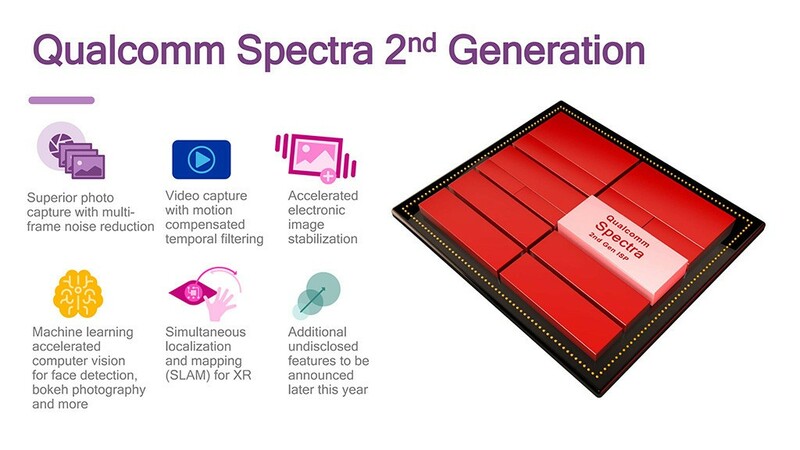 Qualcomm has announced the second generation of image processor Spectra. It is designed with a focus on augmented, enhanced and virtual reality. In addition, Qualcomm pays a lot of effort measuring the depth using the camera to build 3D models of the environment, and other functions. “For computer imagery, video or computer vision applications that require accurate motion tracking, powerful image processing using cameras has become more important for the new generation of mobile users. Our breakthrough achievements in the field of visual quality and computer vision in conjunction with the family of integrated processors image processing Spectra for Snapdragon chips designed to support ecosystem advanced mobile applications for our customers,” said Tim Leland, Vice President, product management Qualcomm Technologies Inc. 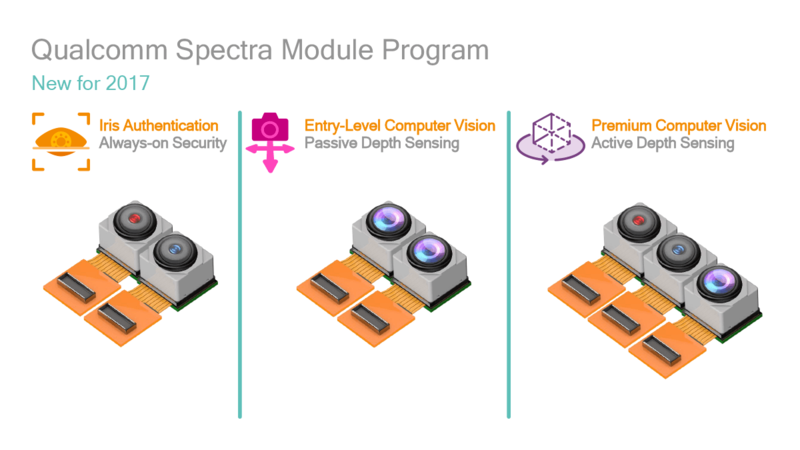 The second generation of processors image processing Spectra Qualcomm is a family of integrated ISP-chip, which uses new hardware and software architecture designed specifically to advance in the field of computer vision, image quality and energy efficiency of future platforms Snapdragon. They feature multi-frame noise reduction to improve picture quality by blending multiple shots, as does the HDR+ mode in Google, hardware accelerated temporal filtering and a built-in electronic image stabilization to record smoother videos. Qualcomm Spectra of the second generation also supports an infrared depth measurement, as in the devices range Project Tango. While Qualcomm recognizes that additional infrared sensors increase the cost of Assembly of the device and probably will not be used in smartphones secondary and primary levels in the near future. Therefore, the company also integrated the Qualcomm Spectra 2 system depth measurement based on parallax working the same way as the human eye. This system will allow many devices with two cameras to measure the depth of imaging at a significantly lower cost. Also, the new processor has support for infrared sensors, which allow you to use built-in hardware support identity verification of the user’s iris. Qualcomm argues that the time authentication does not exceed 40 MS even when wearing sunglasses. Future smartphones will be able to scan face for user authentication. The image processor Qualcomm Spectra of the second generation will be part of a new flagship chipset the Snapdragon. You are reading an article on the The second generation Qualcomm Spectra will contribute to the advancement in the field of mobile cameras. All materials on the site Gadgets F, а также и статья The second generation Qualcomm Spectra will contribute to the advancement in the field of mobile cameras - written for the purpose of information enrichment and we are happy if you like our magazine.